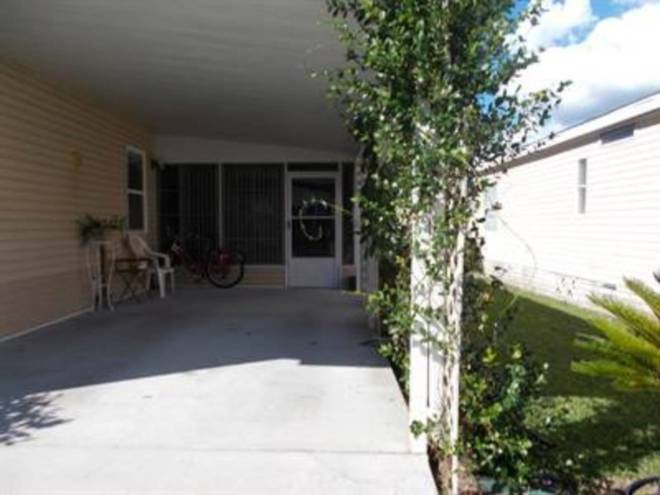 PRICE REDUCED, BEAUTIFUL MOVE IN READY, FLA RETIREMENT HOME! Amazing home highlights loads of storage, new insulated double pane windows. New 3.5 ton a/c/ heat pump (2 years) with a 10 year pass on warranty. Great Lot rent of $426.00, presently, includes , lawn mowing, edging, trimming, water, sewer, garbage, Garbage p/u is twice a week. 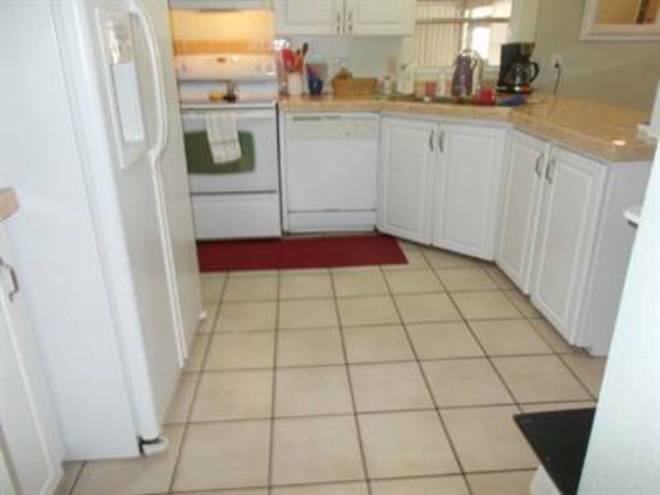 Kitchen has 10x11 ceramic tile on the floor 7 counter tops. 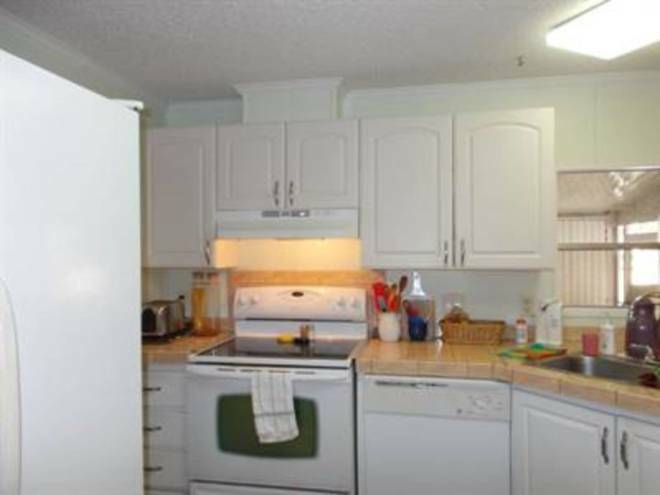 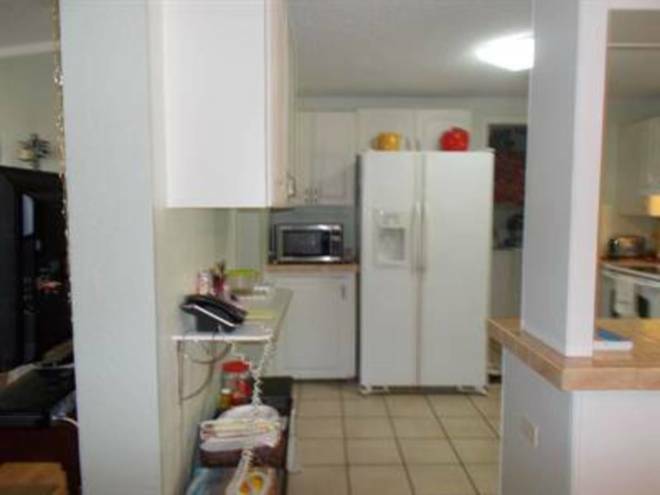 Double stainless steel sink, GE side by side refrigerator, microwave, window treatments remain with home. 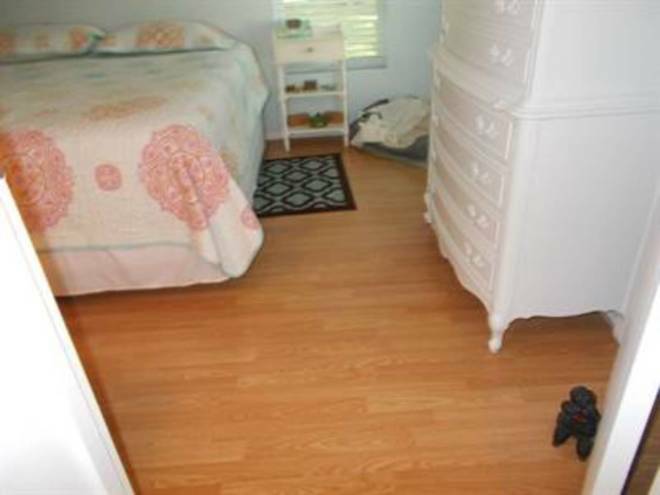 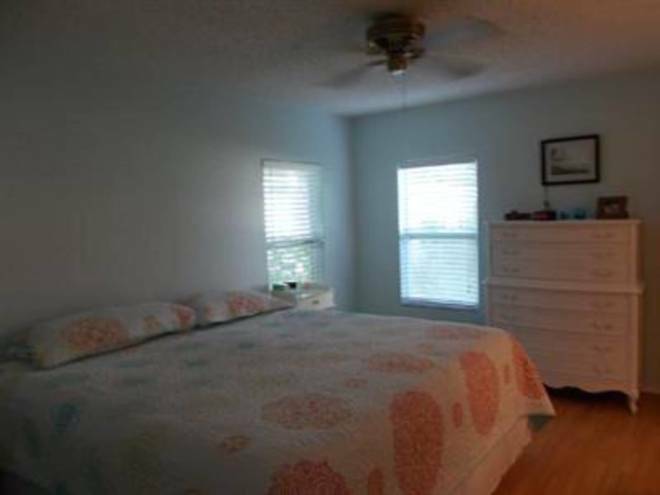 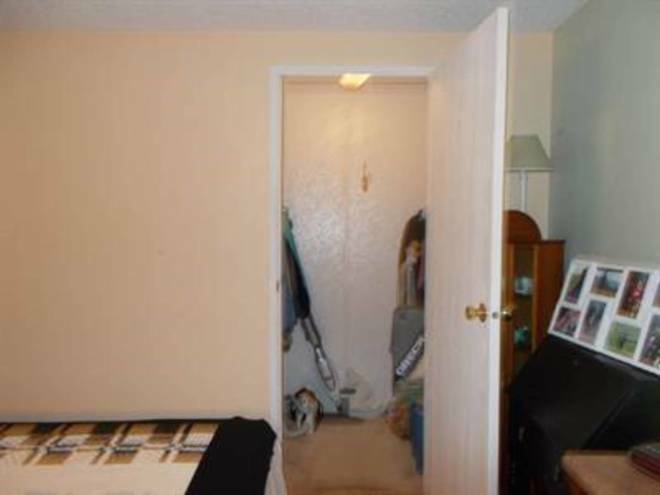 Flooring is Pergo.. Master bedroom is oversize with a large walk in closet. 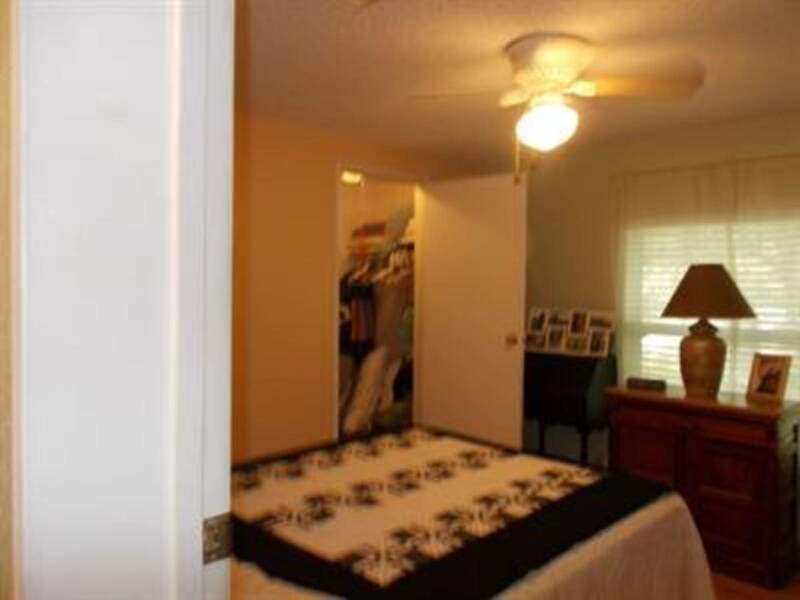 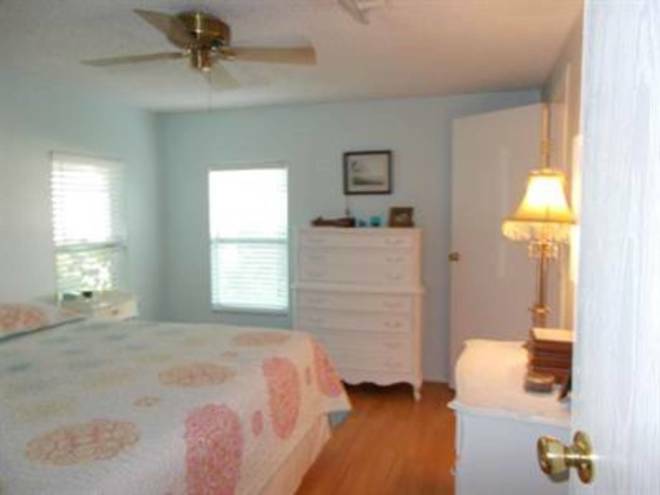 Master bedroom comes with a step in shower and large walk in closet. 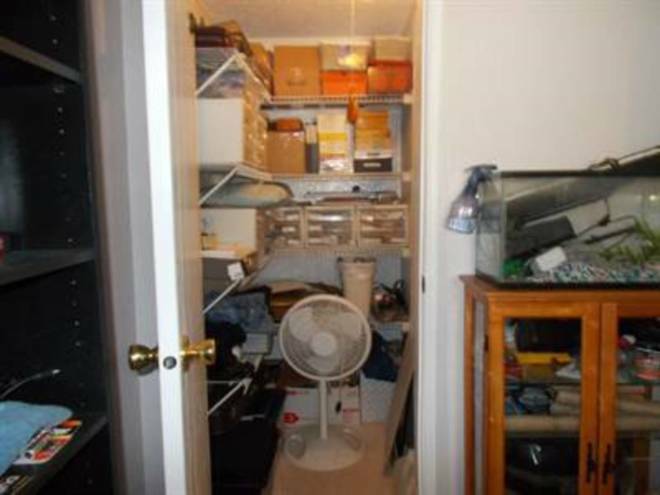 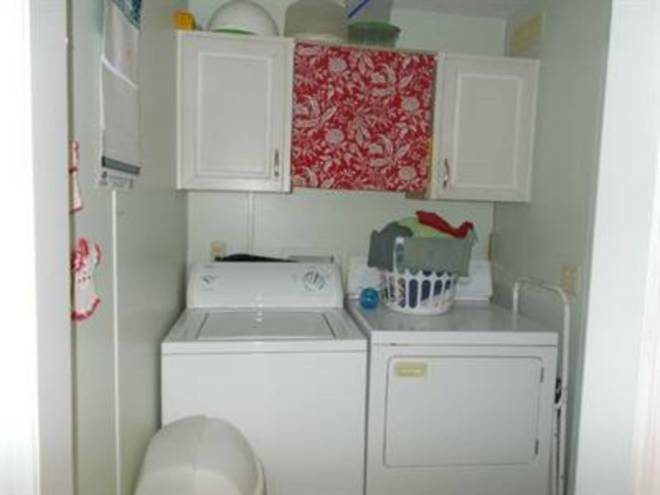 newer toilet .Large enclosed porch with a/c, great Florida room or den (12 x 19) huge pantry for extra storage Shed is 6 x 8, doors are steel clad, very secure. 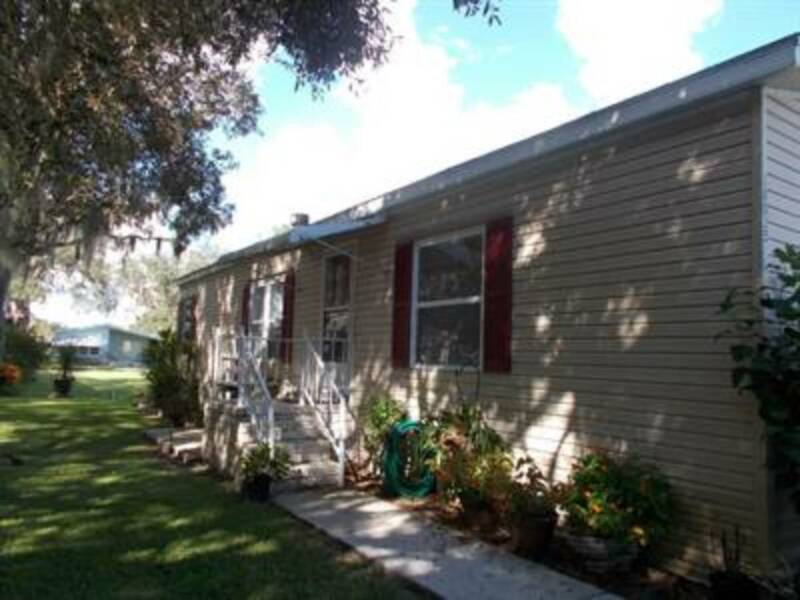 Asphalt roof shingled roof with galvanized stripping to prevent mold. 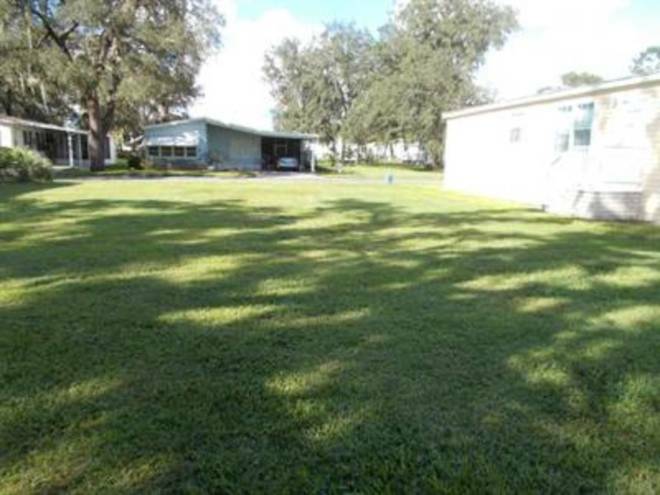 Free outdoor fenced in area for RV/Car/Trailer storage. 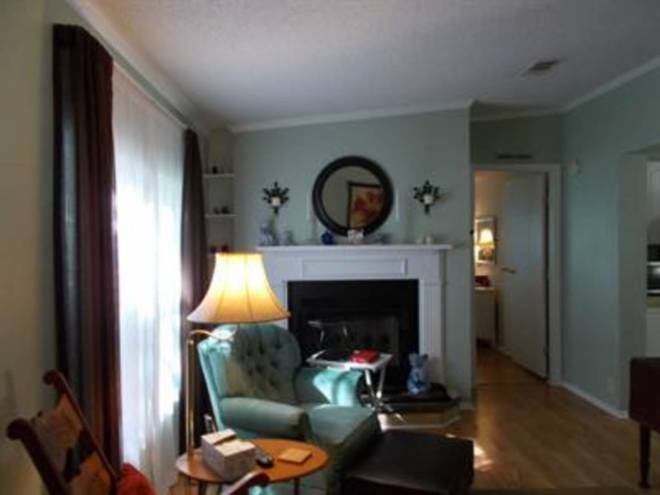 This home comes with a real fire burning fire place (never used) great for the holidays. 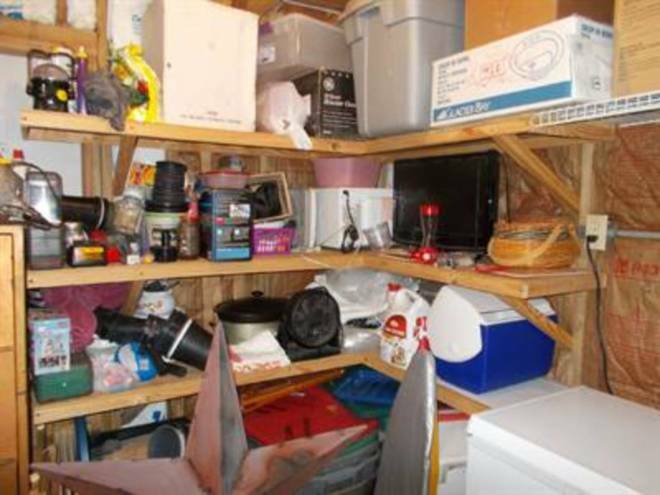 Two attached separate storage sheds. 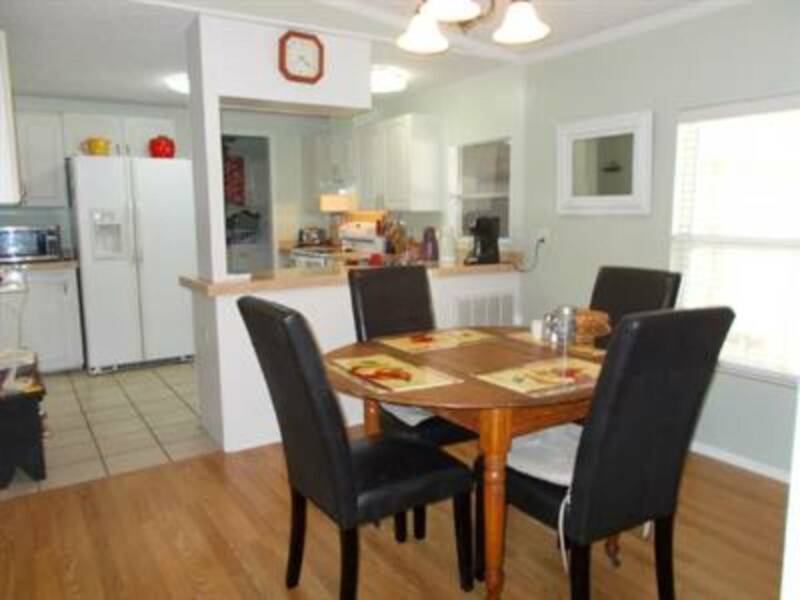 Real wood baseboards, drywall walls, crown molding, newer kitchen cabinets. 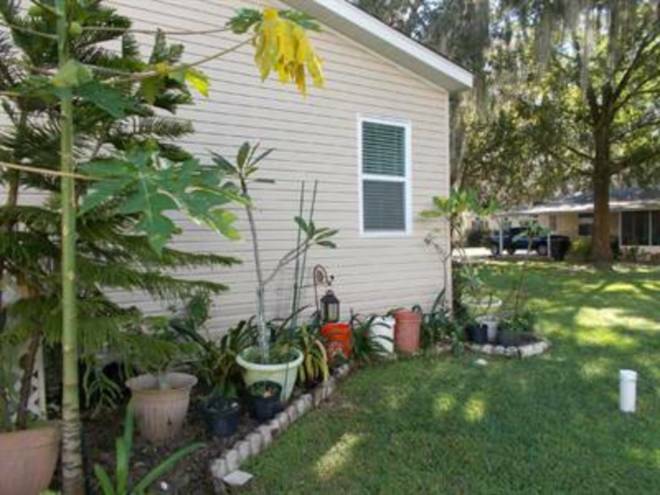 This home sits on a beautiful lot with lots of grass and beautiful plants. 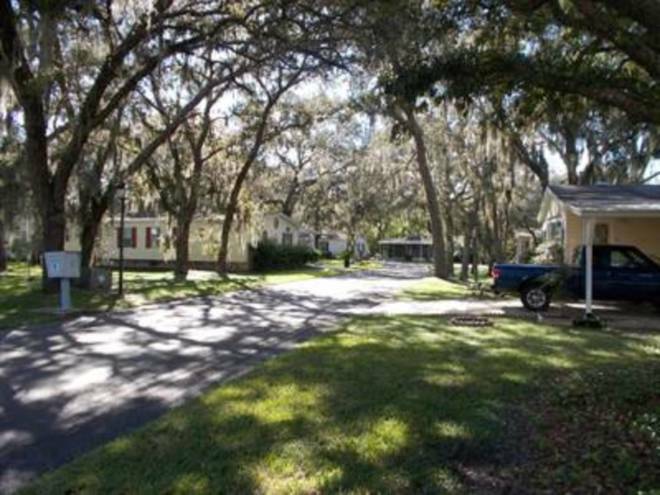 Located in a beautiful 55 plus gated community, lots of trees thru out this park, street lights for those evening strolls, benches to sit and enjoy the friendly neighbors. 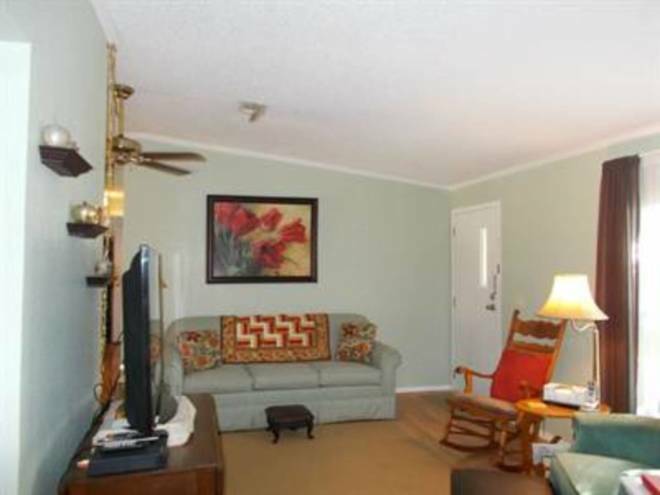 Large heated pool, very active clubhouse, shuffleboard. This community offers a beautiful old fashion covered bridge. 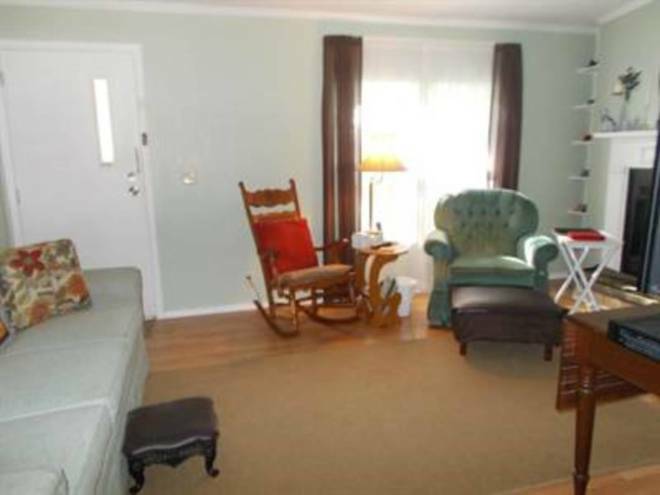 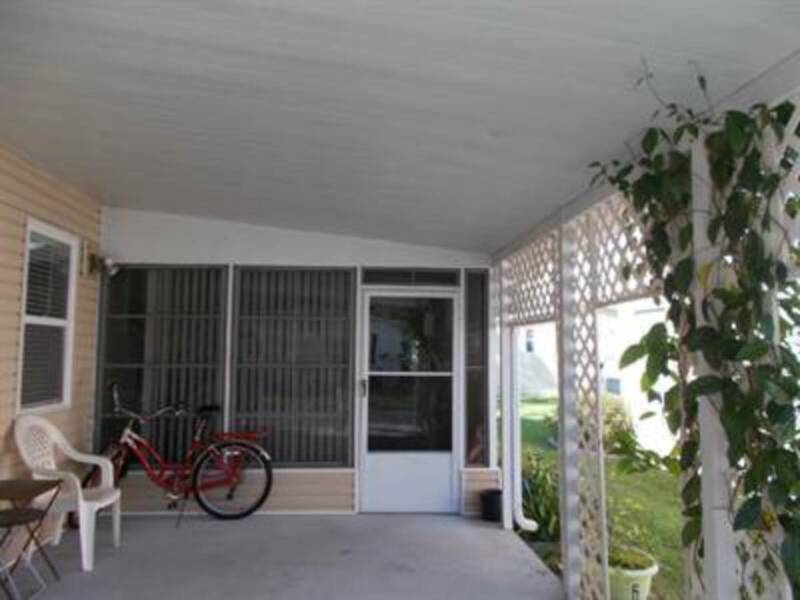 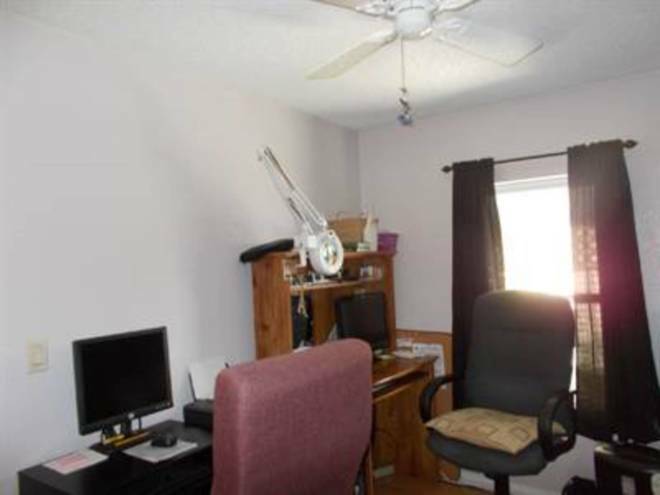 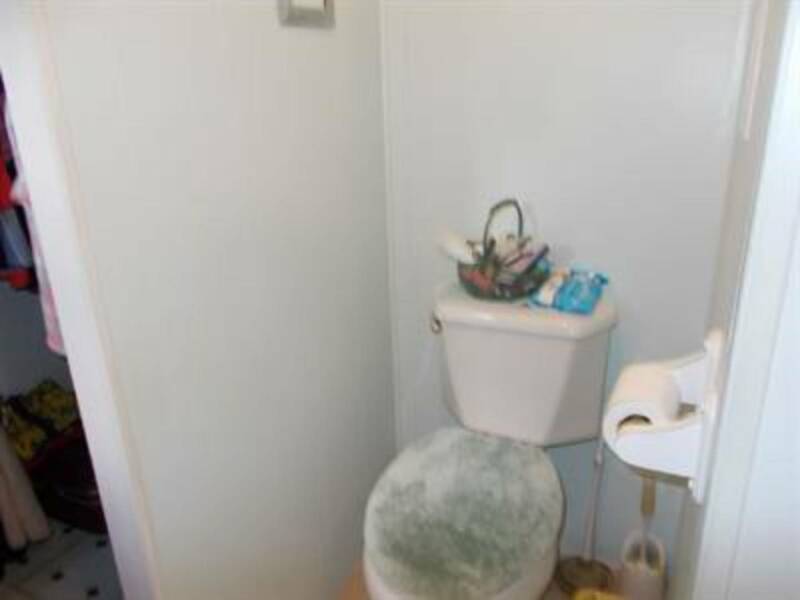 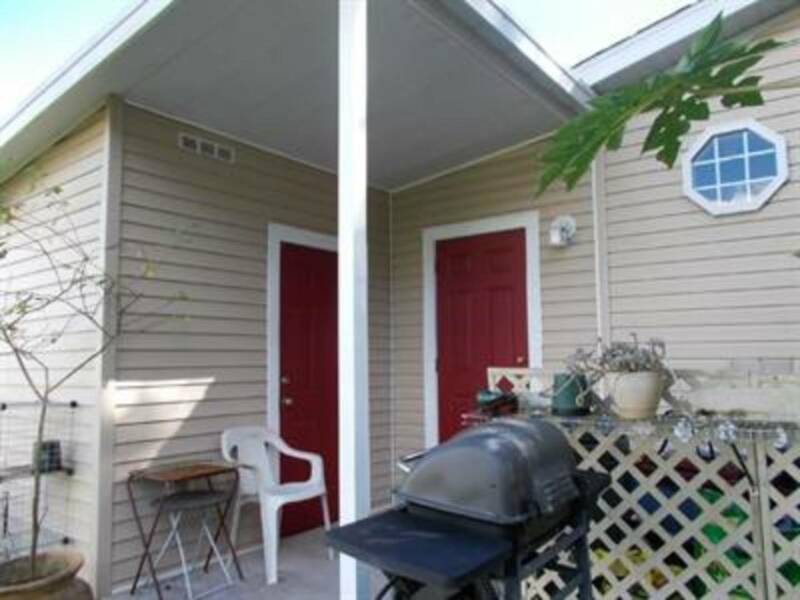 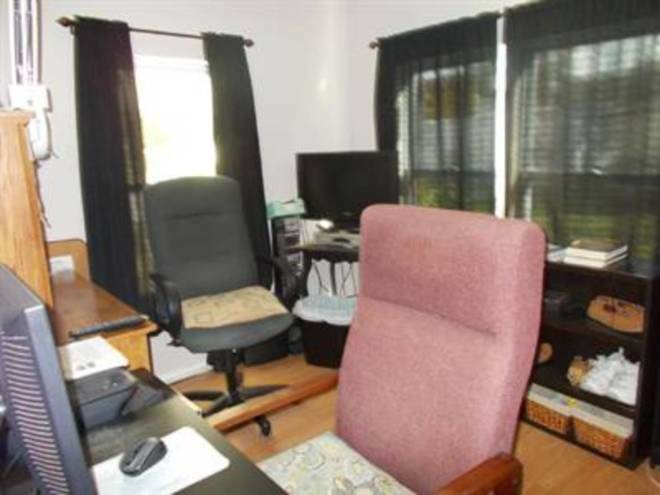 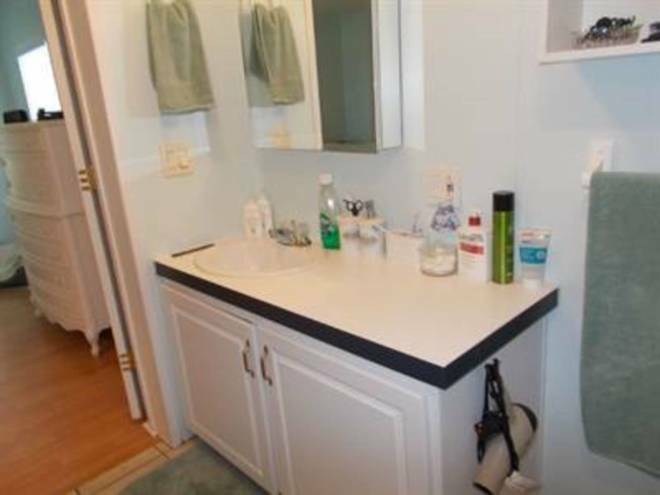 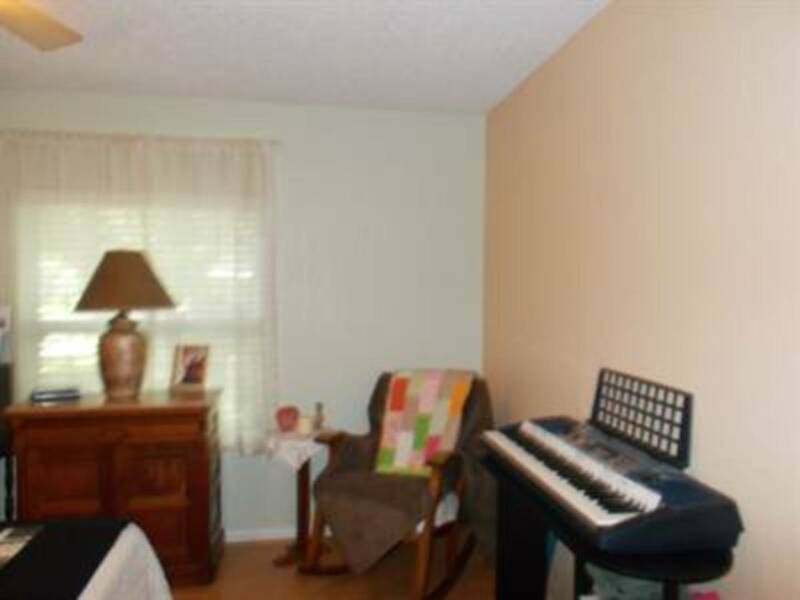 Great location, very serene, quiet country atmosphere/ Pet friendly. 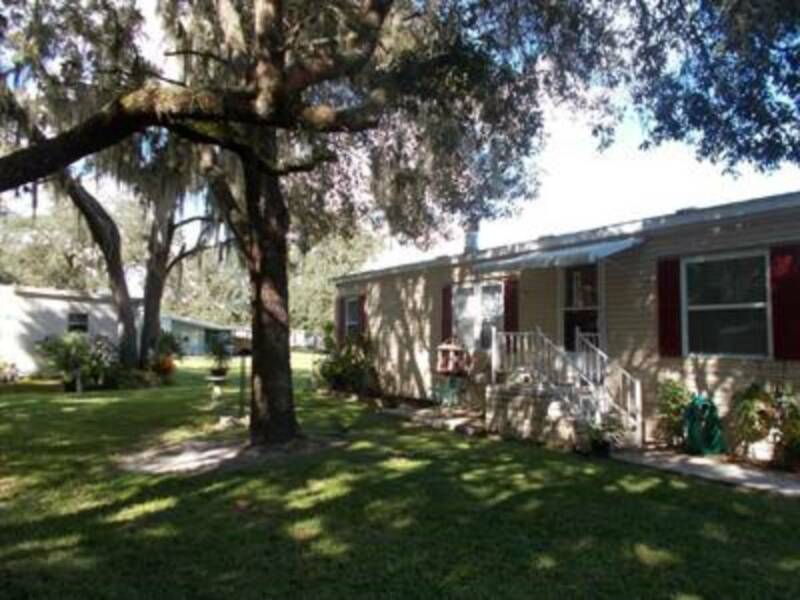 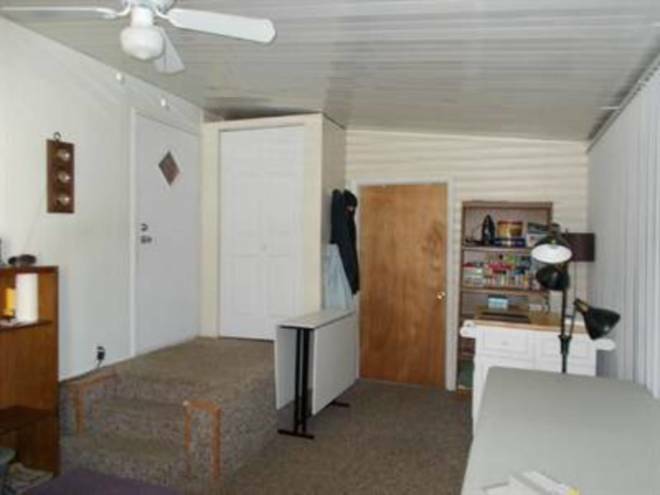 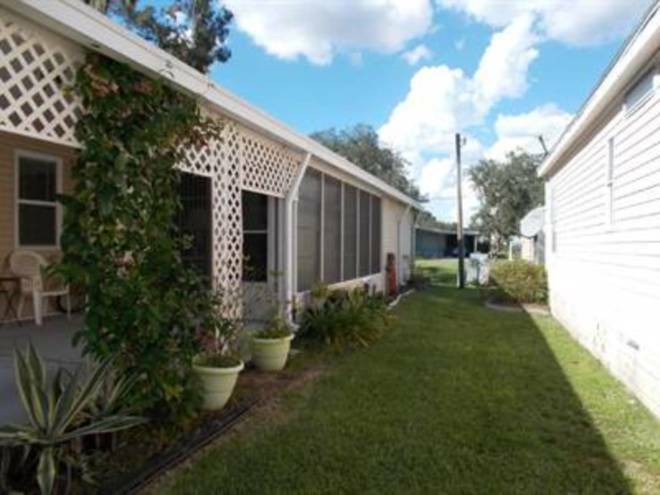 I would like more information regarding the Florida Mobile Homes On Sale Listing #10443515 at 38035 Woodside Lane, Zephyrhills, FL.